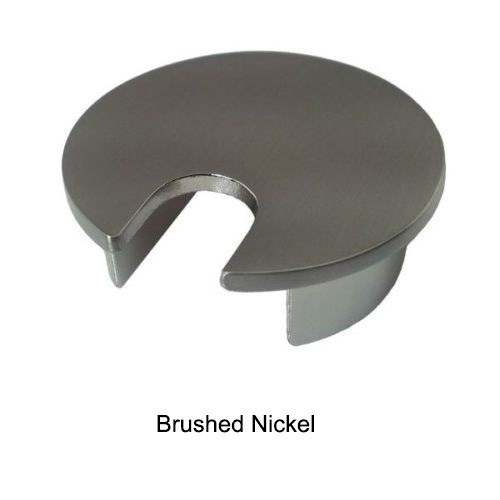 Our Metal Desk Grommets are more durable due to the zinc die-cast characteristics and the one piece, low profile and shallow depth, allows for ease of installation and desk/workstation compatibility. 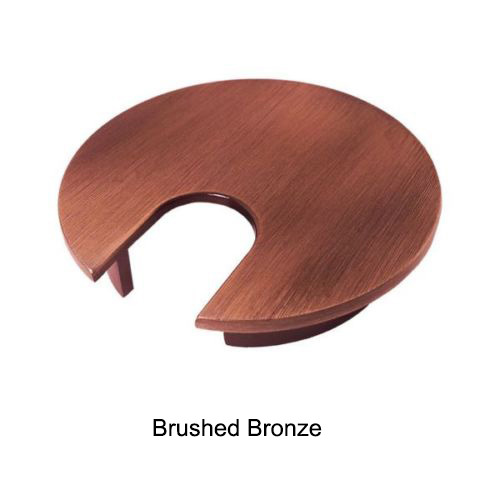 Available in 7 vibrant colors brushed bronze, antique copper, black epoxy, polished chrome, matte nickel, brushed nickel, and brass metal. 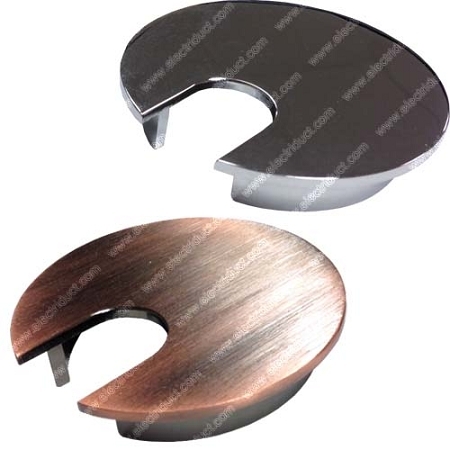 Also 2.375" Two Piece Metal Grommets are available. 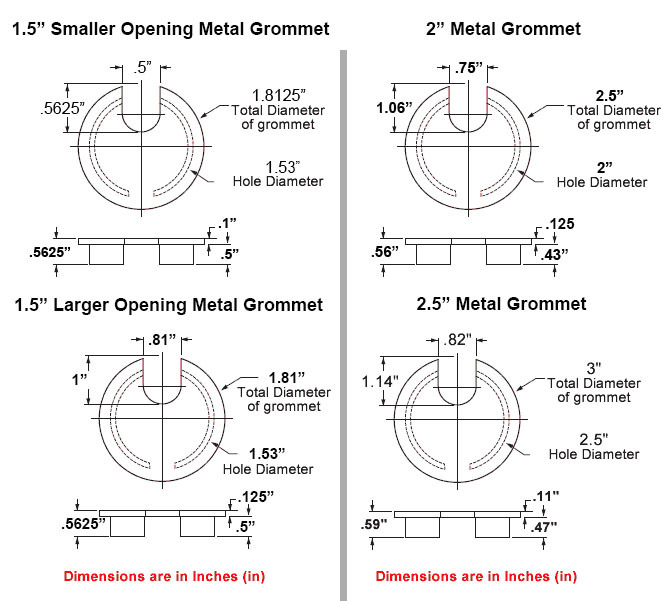 1.5" (40mm) Grommet needs a 1.53"+/- hole size. 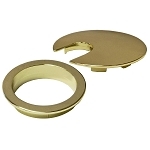 2" Grommet needs a 2"+/- hole size. 2.5" Grommet needs a 2.5"+/- hole size. 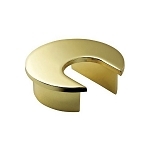 Loved these grommets. Was hard to find one that was small and indiscreet. Fit the bill perfectly! 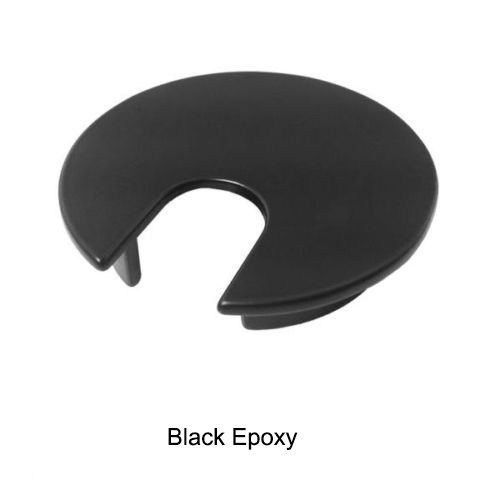 the product was exactly what I needed. Thanks! 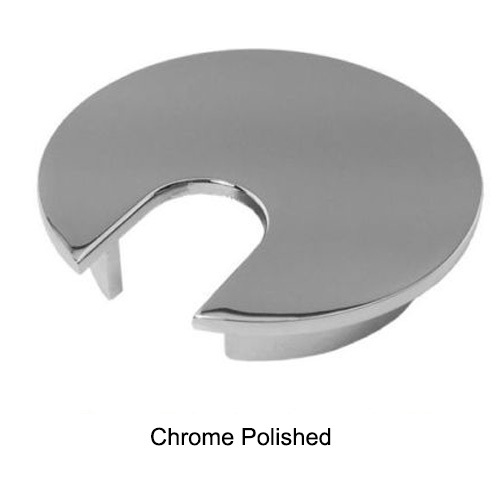 The desk grommet came within a week of ordering and was just what I wanted in color and quality. First time purchaser from Electriduct and VERY PLEASED with the selection, ease of website ordering, and product. Will definitely order from in the future!!! Got exactly what I ordered, well packaged, high quality. 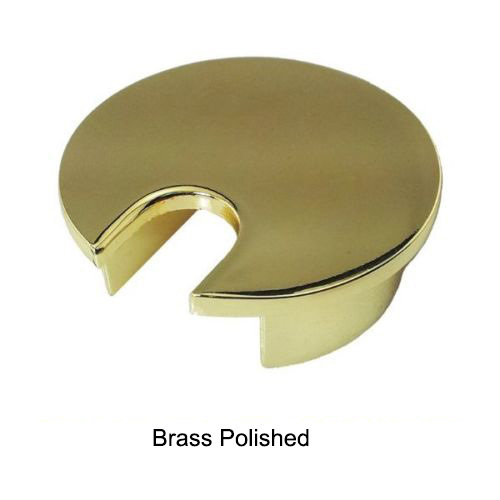 I ordered 2 brass colored metal desk grommets that were shipped quickly, received and installed without any difficulties. Great looking product that is just as advertised. 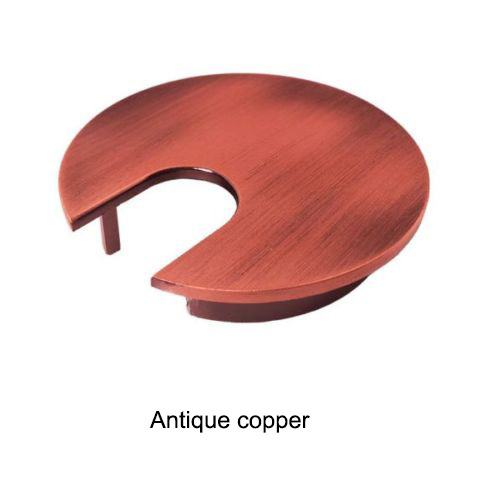 Speedy service and good pricing will bring me back to this site as needed. 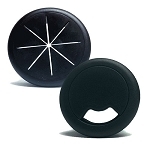 I had looked at several plastic grommets along with metal ones of various types. Our local stores didn't have any. I finally chose the classier shiny chrome from Electriduct to go on my wife's desk. It is one piece that just slides into the 2-inch hole (in my case). The opening is large enough for the cables for the keyboard, mouse, speakers, and several other peripherals we don't have, yet. I would gladly do it again. 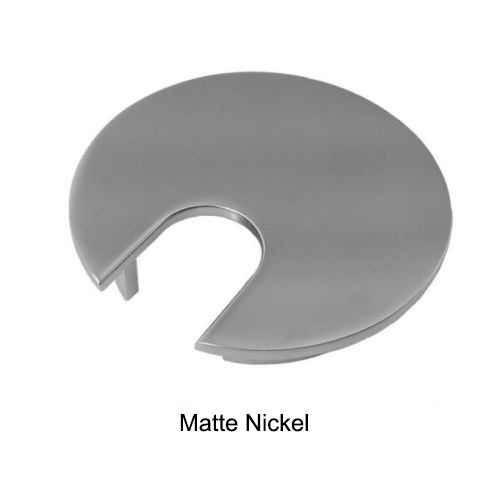 I got several of the Matt Nickle Grommets over the past year, and love them. 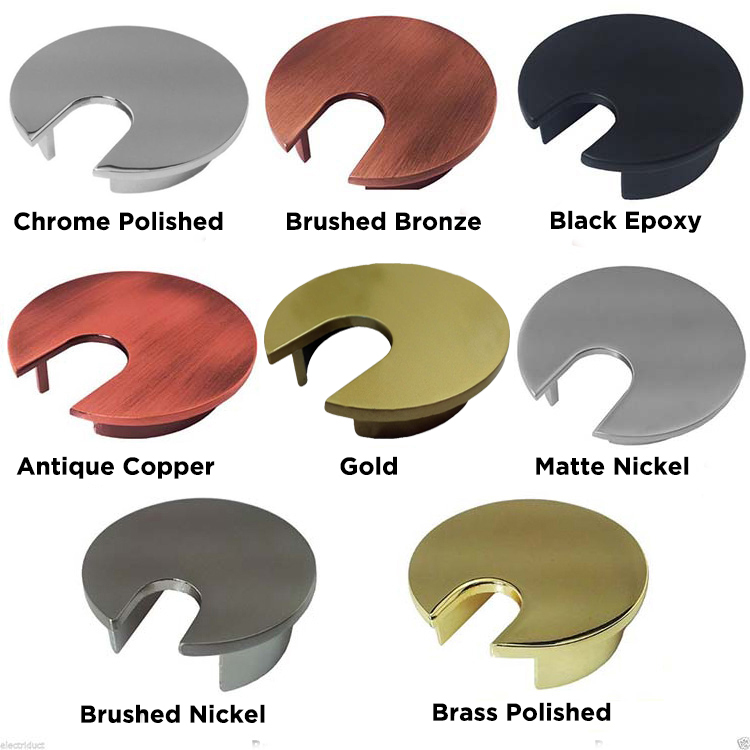 They are high quality, solid, and look great!